Alberto Contador (Tinkoff-Saxo) regained the overall race lead from overnight leader Fabio Aru (Astana) after a blistering performance in the individual time trial stage of the 2015 Giro d’Italia on Saturday. Vasil Kiryienka (Sky) won the stage on a bittersweet day for Sky, as team leader Richie Porte lost all hope of contending for a podium placing after losing over four minutes to Contador. Kiryienka managed to set the fastest time of the day before a change in the weather hindered the progress of most of the top-ranked riders later in the afternoon with wet and windy conditions. The Belarusian finished 12 seconds ahead of runner-up Spaniard Luis Leon Sanchez (Astana). Contador not only put himself back in the coveted maglia rosa, but also very nearly won the stage. Given the poor weather and the injuries that the Tinkoff-Saxo leader has sustained in the race so far, his third place just 14 seconds behind Kiryienka was an amazing performance. 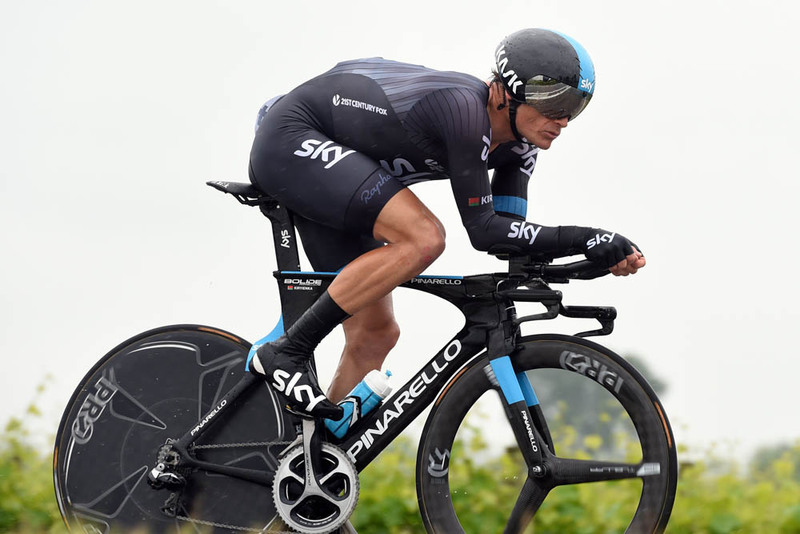 As predicted, the long 59.4-kilometre individual time trial stage served to shake up the general classification. What wasn’t thoroughly predicted, however, was that all of Contador’s overall rivals would lose such a huge amount of time to the Spaniard. Aru had said prior to the stage that he had never ridden a time trial at this sort of distance, and so his pacing and form were unknown – even to himself. 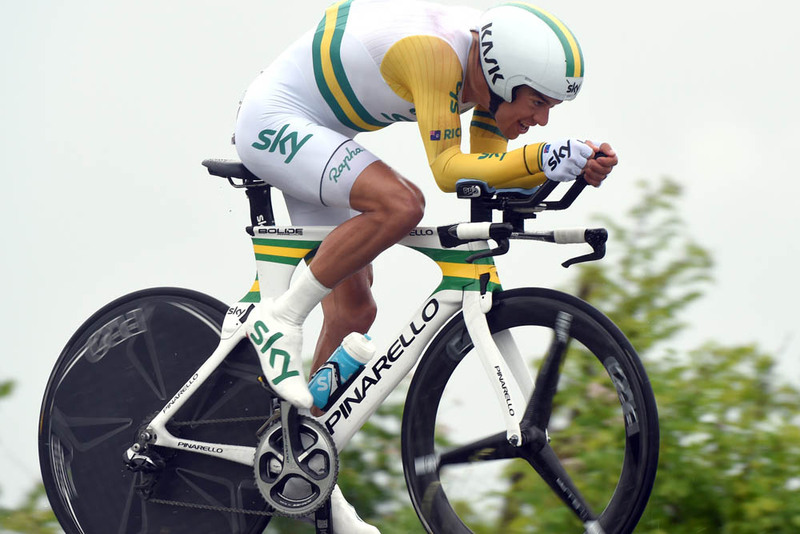 Against the superior time-trialling experience of Contador, Aru lost two minutes and 49 seconds. A sizeable gap, but perhaps not an unassailable figure to make up in the forthcoming mountain stages, particularly given the strength of his supporting Astana squad. Pre-stage favourite Porte had another bad day after crashing on the previous stage, finishing in 55th place and 4-08 down on Contador. Rigoberto Uran (Etixx-QuickStep) fared slightly better, but failed to repeat his Giro time trial stage win from last year, also finishing well down, 2-33 adrift of Contador. Contador now leads Aru by 2-28 overall, with Andrey Amador (Movistar) moving up to third place at 3-36. Uran is fourth at 4-14 and Porte is 17th at 8-52. There’s no let up for the overall contenders, as the race heads into stage 15 on Sunday with a tough mountain finish on Madonna di Campiglio. There won’t be anywhere to hide for riders with tired legs after the time trial, and the general classification could once again be heavily reshuffled ahead of Monday’s second rest day.